On Wednesday, December 11th, The Early Years Institute and the Ready, Set, Achieve! Fund Committee distributed over $64,000 in grant awards to community organizations. Westbury, NY - January 3rd, 2013 - On Wednesday, December 11th, The Early Years Institute (EYI) and the Ready, Set, Achieve! Fund Committee distributed over $64,000 in grant awards to community organizations whose proposals met the criteria of improving early learning opportunities and experiences for all children ages 0-5 and their families in Westbury. Of the eleven applications received by the Fund Committee, nine grantees were chosen that will reach over 500 children and families in the Westbury community. They are: the Westbury Union Free School District and United Methodist Church for their Parent and Toddler Club (P.A.T. Club); North Shore Child and Family Guidance Center to support their Good Beginnings for Babies program; KMC Academy to provide renovations for the site’s playground; Westbury TLC to expand their program to more Westbury residents; The Life Lutheran Church to support their ESL programs for children and adults; the Child Care Council of Nassau and QualitystarsNY to bring a professional development program to eight child care providers in the area; Westbury Head Start that will create a reading buddies literacy program with the NAACP; the Girl Scouts of Nassau County to support a program that promotes cultural diversity; and St. Brigid’s Church to support a summer workshop series for Latina mothers. The grant awards ranged from $1,000 to $7,500 for a single organization and $10,000 for organizations that applied in partnership with another group. The grants were made possible by a generous donation from the Rauch Foundation, who has a long history of investing in The Early Years Institute and the Westbury community. 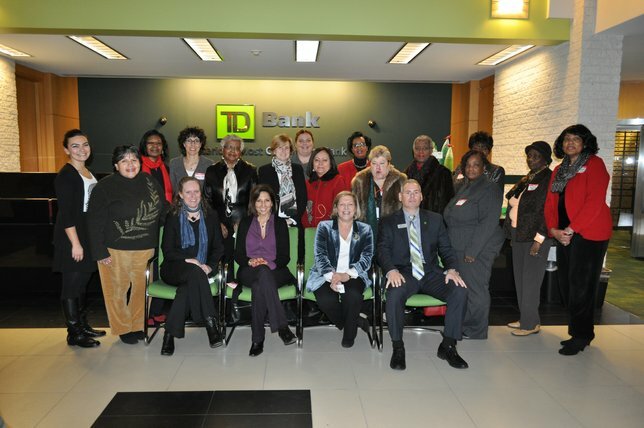 The presentation of grant awards was held at TD Bank in Westbury on December 11, 2013 and was attended by 50 community leaders, service agencies and elected officials. For more information, visit www.eyi.org/readysetachieve or call (516) 304-5480. The Early Years Institute, a regional non-profit organization based in Plainview, NY, serves as a catalyst for community partnerships that ensure all young children have the opportunities they need to succeed in school and life. EYI is viewed as a trusted source of information and a thought leader on early childhood education and school readiness. Subject: LongIsland.com - Your Name sent you Article details of "The Ready, Set, Achieve! Fund Announces 2013 Grant Recipients"